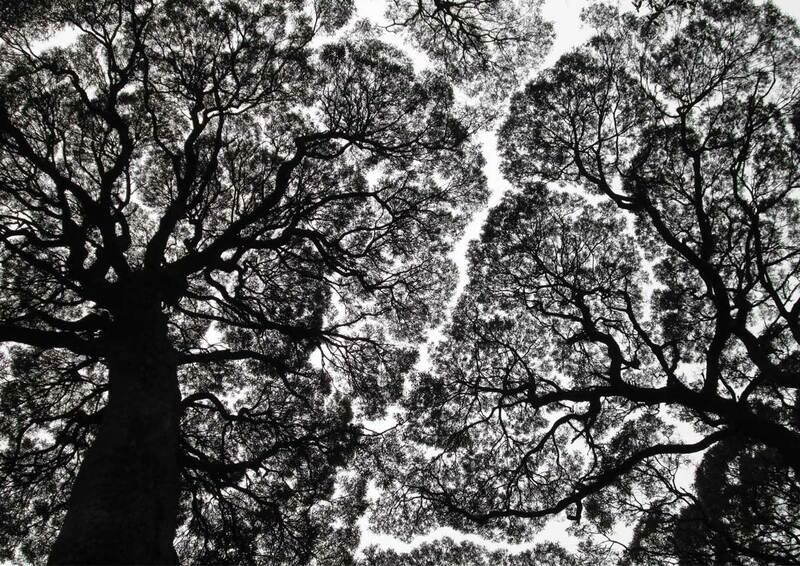 ‘Looking up at the canopy, it appeared as if the trees were talking to each other.’ These Blackwoods (Acacia melanoxylon), in southern Tasmania, have become giants by exploring opportunity. The main structure of the trees is long established. The canopy incrementally redesigns itself as old branches die and new spaces become available, without infringing on their neighbours. Forest research has found that many tree species collaborate, trading nutrients via fungal networks. 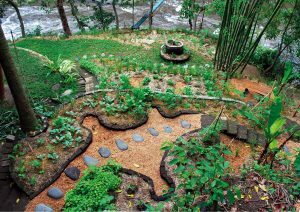 Mark Garrett designed this attractive food garden on a small steep sloping block at the world renowned Green Village, part of the Green School in Bali. 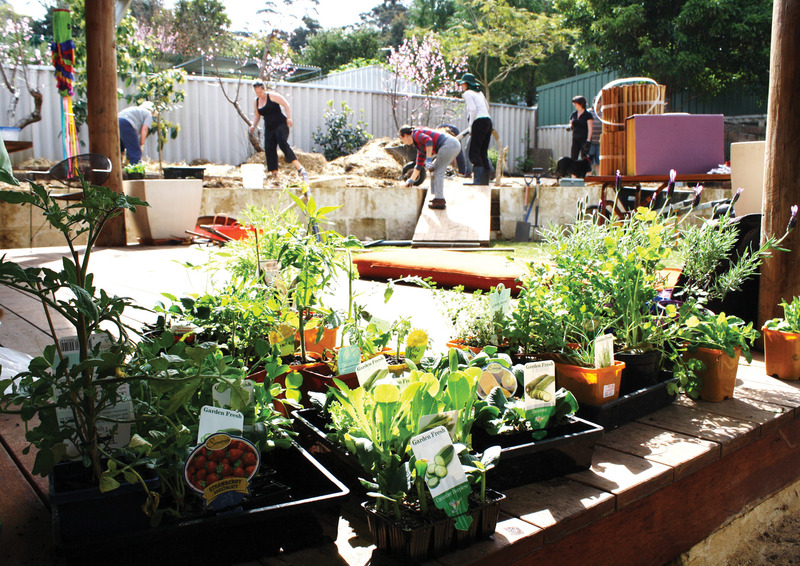 The garden complements the organic form and aesthetics of the buildings that surround it. 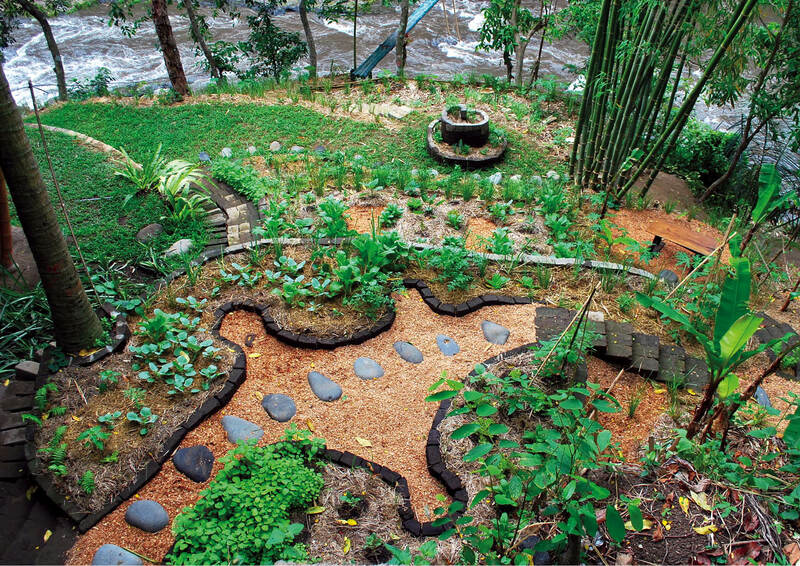 The keyhole beds allow for all plants to be within easy reach, while the winding path meanders across a series of terraces to access the river crossing below. Beauty and function blend to create an inviting space to work and relax. Photo taken in Bali by Mark Garrett. 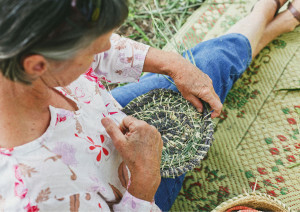 At the Festival of Forgotten Skills rhythmic patterns are common, with rope making, spranging (predates knitting), scything, and candle making among others. The art of weaving with plants reproduces patterns found in nature to create useful and beautiful mats, baskets and decorations. The basic patterns of each craft are easily learned. The detail of the work is an expression of individual skill and creativity. The event brings young and old together for a day of sharing. 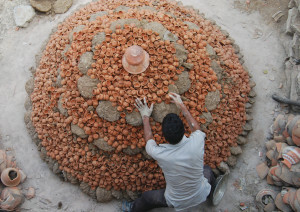 Poppu Ram carefully stacks small lamps to be used for Diwali one of the most important cultural events in the Hindu year. A kiln is created by building up layers of lamps and cow dung as fuel and then covered broken pottery shards the keep the heat in. Hot coals are then dropped in through the chimney to light fuel at the base, it takes about three hours to complete the firing. The next morning the kiln is dismantled and the lamps are taken to markets on the back of push bike carts. Photo contributed by Richard Telford. 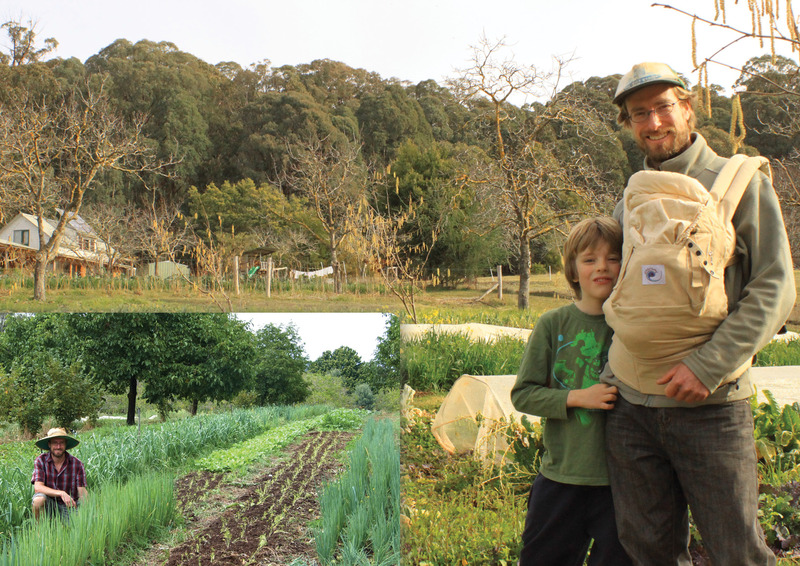 Starting with a group of people wanting action, positive change and local food, the permablitz moves to the design stage where the family and the designer get together and look at the patterns of movement, eating and working habits. We then look at environmental patterns and where their home is situated in the community and landscape. Once the design is complete we get down to specifics, even to the details of how many of each seedling will be planted. Photo contributed by Dorothee Perez. These dishes drain where they are stored above the sink, making large volume hand dish washing an efficient one person task. 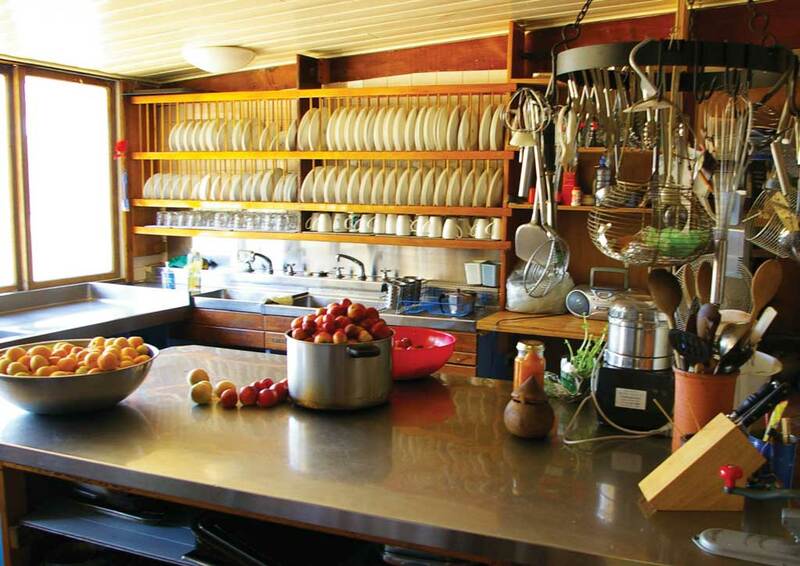 Good design has saved tens of thousands of hours of work and thousands of tea towel washes over the thirty year life of this catering kitchen. Everything is visible and accessible for the many visitors who use this kitchen. Simple and intelligent zoning choices save space and time. 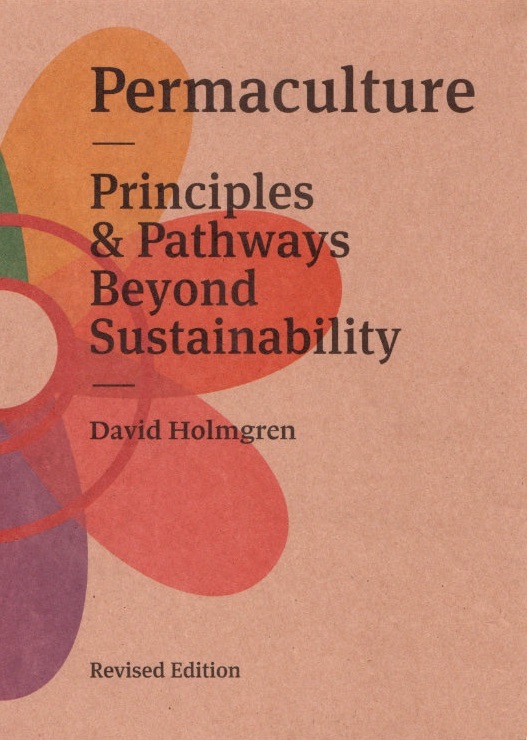 This is part of a design based on classic permaculture patterns. 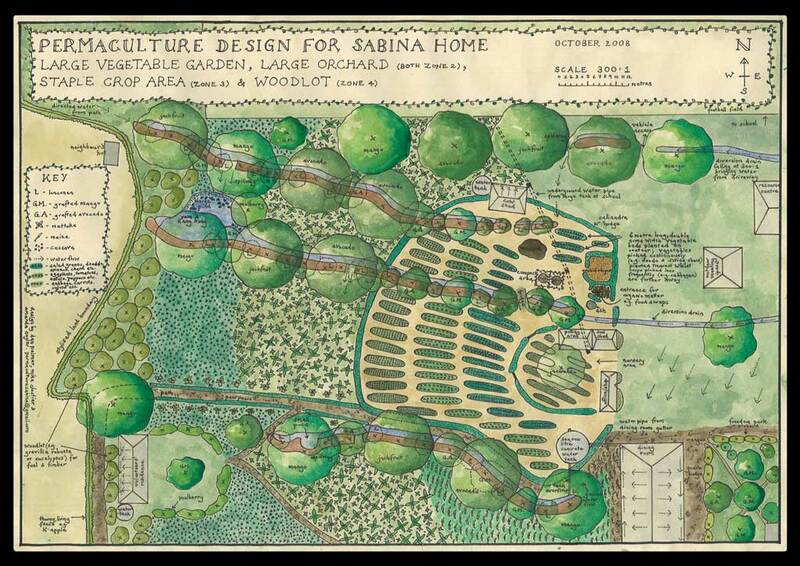 Note the zoning pattern – elements most visited are kept nearest; catchment pattern – water is spread then absorbed in productive soil; and relationship pattern – food trees are planted with support trees, water and manure are near compost. 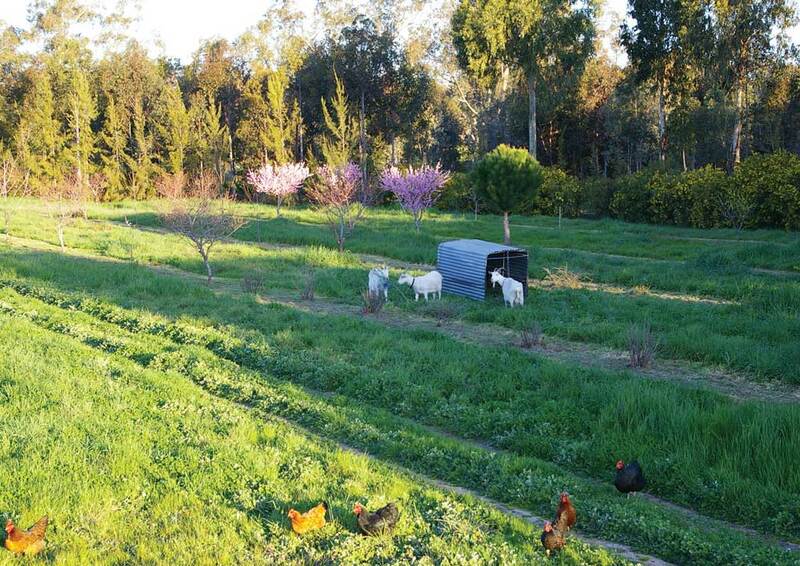 Their daily chores and agriculture class work include helping to build and tend the gardens which will feed them. 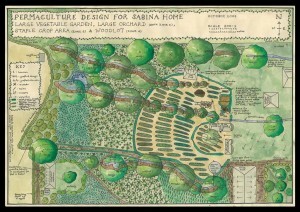 Text by Dan Palmer, Sabina Home & Boarding School in Uganda plan designed by Amanda Cuyler. 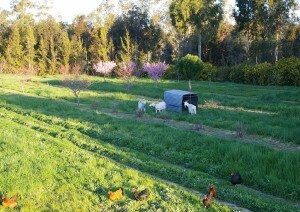 Here drones and the queen are tending the brood. 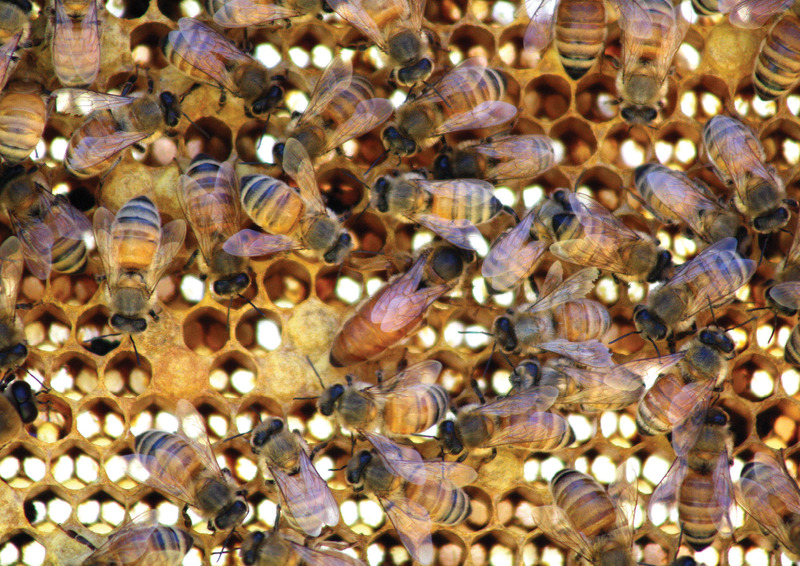 Bees need some flexibility to determine for themselves what proportion of drone cells to worker cells their hive requires. They also prefer to expand their brood-nest as an integrated whole, and to have space at the edge of the brood-nest to put incoming nectar. 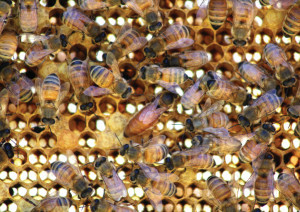 Bee-friendly hive management aims to work with these patterns, and allow the bees to sort out the details.